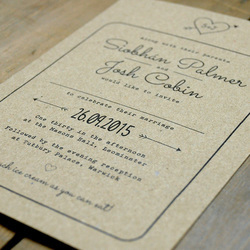 The suite is available in any colour, but we find black or graphite works best. 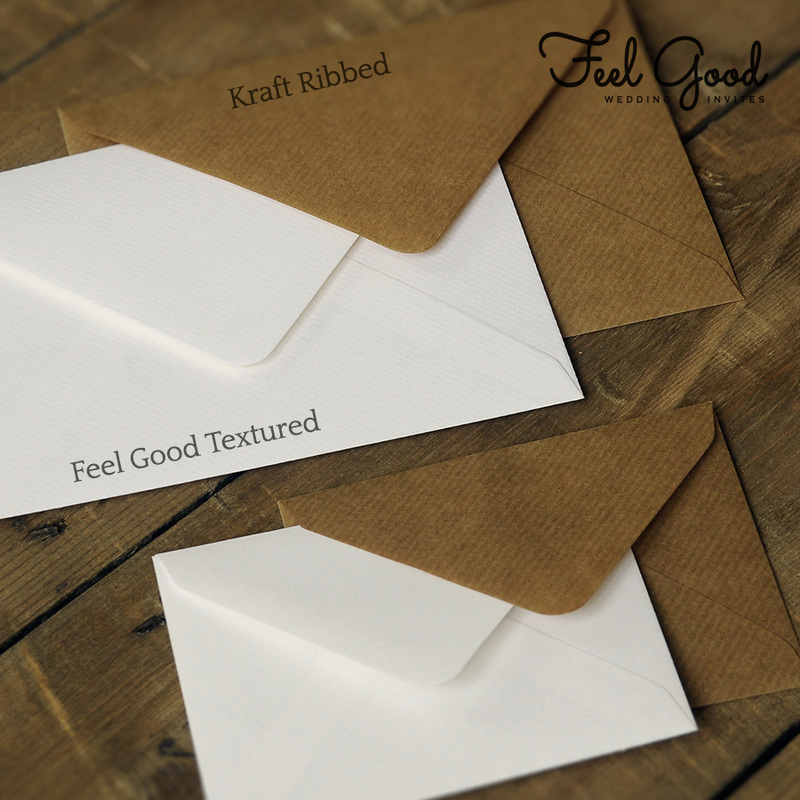 Just email us a colour sample if you have your own colours or you can pick from our colour chart - please note certain olours on the kraft paper can appear quite muted. 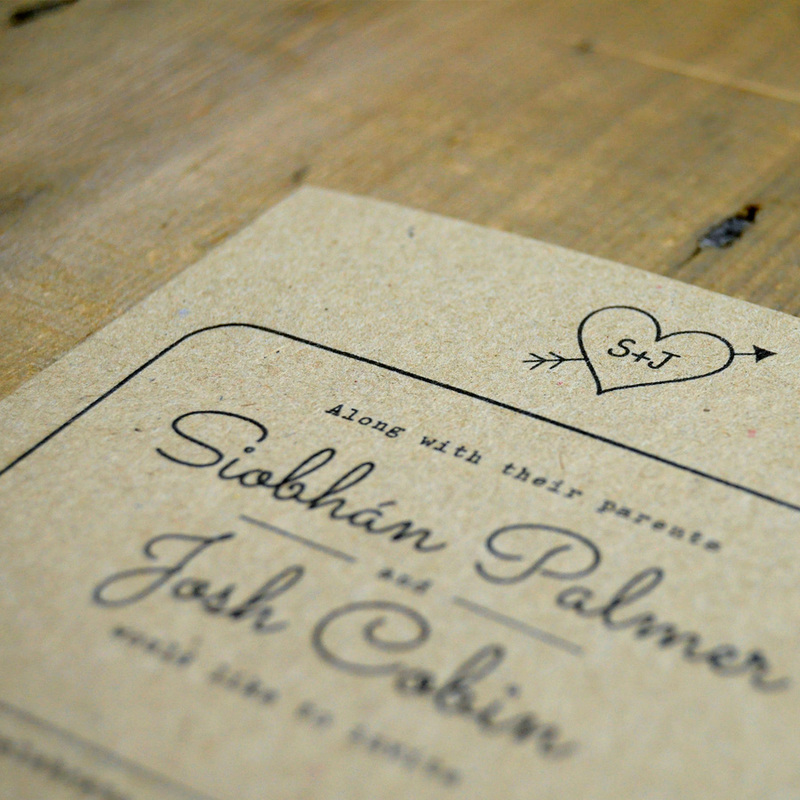 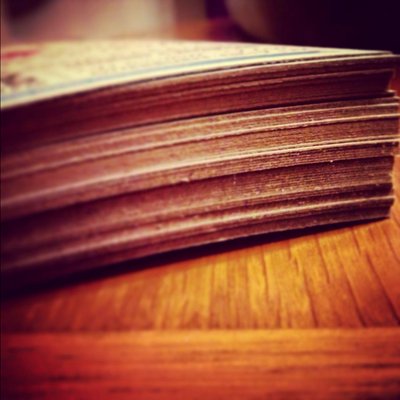 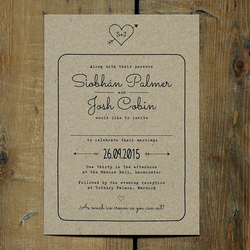 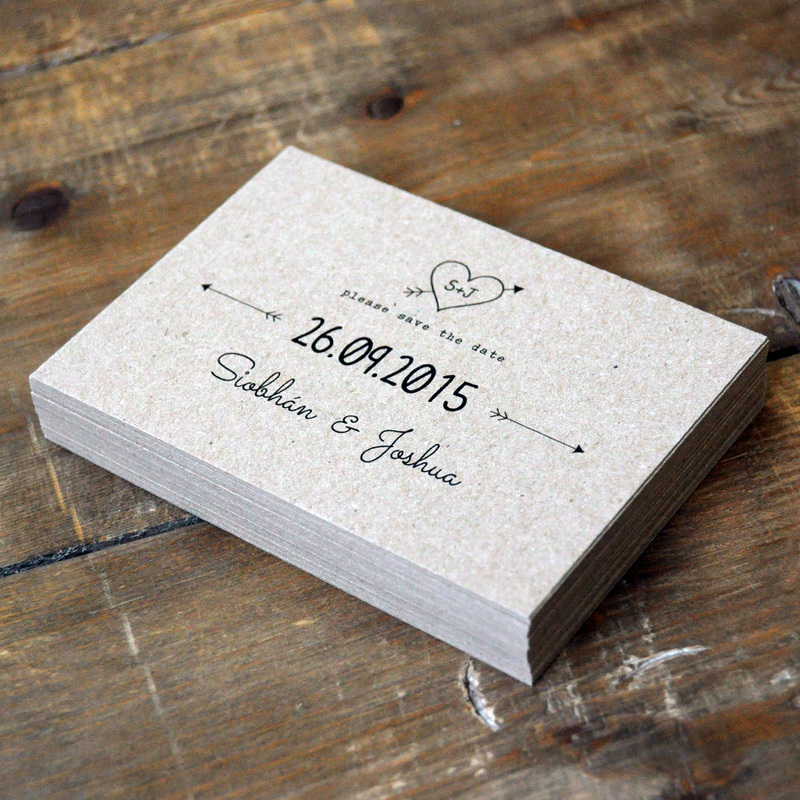 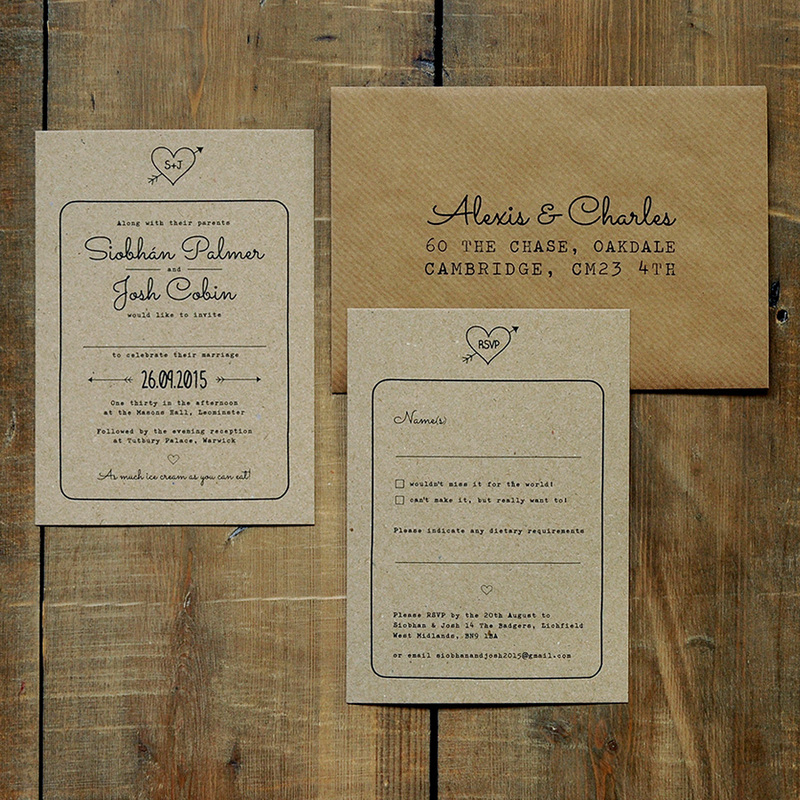 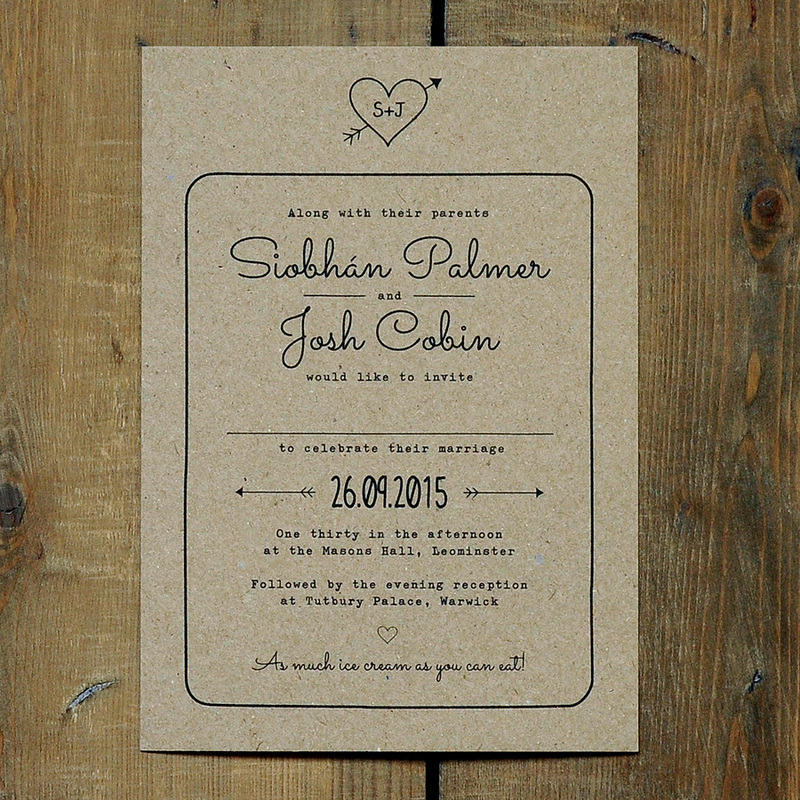 Our 100% recycled brown kraft card has a natural textured finish and a variable grain. 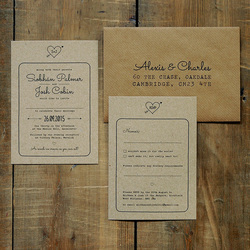 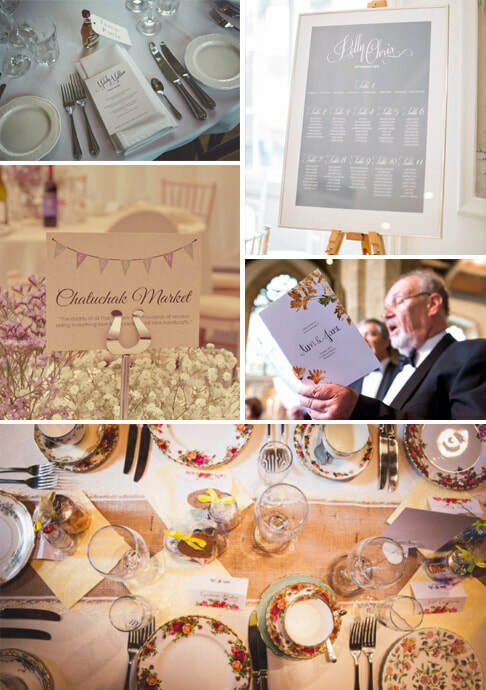 The tactile feel of the recycled card suits a rustic or country themed wedding, and gives of a relaxed vibe for your big day.